What happens if … you need a break from school, you have family obligations that require you to be at home, you have a personal emergency that prohibits you to remain in school …? Contact the [[laura.shepherd,Associate Dean for Student Services]] as soon as possible. She will work with you to create a course of action that allows you to take care of your personal needs and return to school within one year. As a matter of right, all law students may take a leave of absence from William & Mary Law School for up to one year. Tuition and Fees are prorated based on the withdrawal date. What happens if you just don’t return to law school? Your permanent record will contain the note: “Unofficial Withdrawal” and you will have no right to readmission. If you subsequently do want to continue your legal education with us, you must petition the Academic Advisory Committee to do so. Readmission can only be granted with their approval and the concurrence of the Dean. You will be charged tuition and fees if you do not officially withdraw from the College prior to the start of the semester. What happens if you want to finish your legal education but need to or wish to be in another location? Sometimes personal reasons may necessitate your being in another location or you wish to take advantage of another ABA accredited program during your final year of law school. In these cases, you request permission to visit away through the Academic Advisory Committee. If granted, you will attend and pay tuition to the host school for either one or two semesters of your final year. When not registered as a full-time student at William & Mary Law School, you are not eligible to receive scholarships nor fellowships from W&M Law. You are still required to accumulate a minimum number of William & Mary Law School courses through a standard letter grade. If you visit only one semester, the minimum is 65 graded credits. If you visit two semesters, the minimum is 50 graded credits. 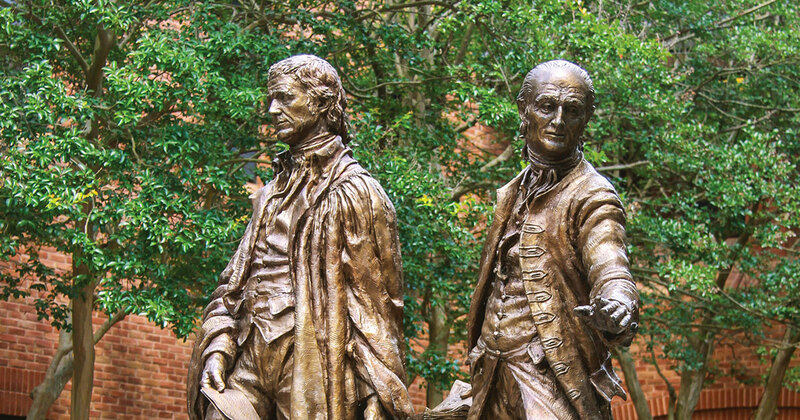 All other course requirements must be satisfied at William & Mary Law School. The approved credits earned of "C" or better at the host school will be transferred to your William & Mary law degree. Credits will be applied only upon receipt of an official transcript from the host school. See all the rules regarding visiting away on this form. This form as well as the petition to visit (with reason for wanting to visit away, list of schools attempting to visit to and list of courses intending to register in) and a current academic transcript should be submitted to Dean Shepherd.